The Cosmological argument begins with the fact that the universe exists, and seeks to show that the best explanation of this fact is that it was created by God. There are many slightly different formulations of the argument – we will consider two of them, and the various objections to the premises of these arguments. The word ‘universe’ is used in two slightly different ways – it can mean the space-time that we live in, which began at the big bang (I will call this ‘our universe’), or all space-time, matter and energy that has existed, which may be more than our universe (I will call this ‘the universe’). It is possible that the universe consists of a series of universes leading up to our universe, or many universes existing in parallel; equally it is possible that ‘our universe’ is all there is and it and ‘the universe’ are one and the same. There are several versions of the Cosmological argument. I have chosen to discuss two – the Kalam argument (because it is perhaps the simplest form of the argument, and is argued in many public debates by well-known philosopher WL Craig) and Leibniz’s argument (because it seems to be more rigorous and overcomes some of the main objections to the Kalam argument). I have presented both arguments first, each with its justification, then discussed the objections that are made against each. Whatever begins to exist has a cause external to itself or arises out of something external to itself. Therefore the universe has a cause or arose out of something external to itself. Premise 1 seems obvious at first glance. Everything we experience and know in the universe has a cause (or many causes), and a thing that doesn’t exist cannot cause itself to exist. Even in quantum physics, where quantum events can perhaps occur unpredictably, there are still antecedent conditions (a quantum field) without which the events couldn’t occur – i.e. they are a necessary cause though maybe not a sufficient cause. So it isn’t much of an extrapolation to say that everything in the universe has a cause, or arose out of something external to itself, and therefore the universe as a whole has a cause or arose out of something external to itself. It is impossible to count to infinity, so it is equally impossible to count down from infinity to zero (or any other number) – no matter how long we count, even for an infinite time, we cannot reach a finite number because: ∞ – ∞ = ∞ . Thus it is impossible for there to have been an infinite and beginningless series of past events. This argument isn’t universally accepted by mathematicians and philosophers but I find it convincing. The laws of physics (specifically the second law of thermodynamics) tell us that the universe is “running down”, moving from a state of highly uneven temperature and distribution of matter, to a state of being homogeneous. This is inexorable – though there can be localised times and places where the process reverses, in the long run the second law will apply. But if the universe consisted of a beginningless series of events, every physical process that could occur would have occurred, and the universe would have long since become a homogenous eventless “soup”. The fact that the universe is still dynamic is proof that it hasn’t been around an infinite time. A number of aspects of modern physics (e.g. the Borde, Guth, and Vilenkin theorem, Big Bang cosmology, singularity theorems) also suggest that the universe had a beginning. 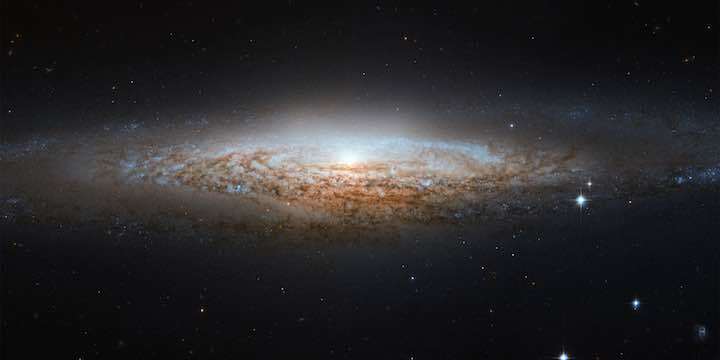 There are other aspects of physics that suggest or allow an infinitely old universe, but these are in the minority – according to theoretical physicists Alexander Vilenkin, Aron Wall and Luke Barnes, the majority of scientific considerations suggest there was a beginning. Thus the conclusion that the universe had a cause, or arose out of something external to itself, also seems reasonable and probable, but not certain. But what can we know of this cause? Does the argument get us very far? If the conclusion of the Kalam argument is accepted as true, then some properties of the first cause can be gleaned from the argument. For example, the cause is outside the universe and therefore, by definition, outside of space and time; it must be powerful, beginningless and necessary. This cause may even be seen to be personal, on the following grounds. We currently only know two types of explanation – scientific (in terms of physical processes and laws, e.g. the plate fell because of gravity) and personal (in terms of a person’s motivations and action, e.g. the plate fell because I wasn’t looking when I put it down). But the cause of the universe is not physical, spatial or temporal (it is “outside” those things), so cannot be scientific, so it seems it must be personal. The disagreements about the possibility of an infinite or causeless universe have meant this form of the cosmological argument is also popular. Therefore the universe has an explanation of its existence. If the universe has an explanation, that explanation must be God. Therefore God exists and is the explanation. Philosophers have identified two types of beings or things: necessary beings whose nature it is to exist (they couldn’t not exist), and have no external cause, and contingent beings, whose existence is explained by factors outside themselves, and who could possibly have not existed, or they could have had different qualities. Premise 2, sometimes called the Principle of Sufficient reason, tries to capture what we know about reality. Most things, perhaps everything we know about, are contingent and have an external cause which explains their existence. It is not a large extrapolation to conclude that everything has such an explanation, unless it is a necessary thing. While this may not be certain, it surely is more likely, based on our experience of reality, than that things may have no such explanation. What else could explain the universe, except a necessary, timeless being existing outside of space-time? Nothing within space-time can serve as an explanation, by definition. Atheists sometimes say that, since there is no God, the universe is just a brute fact without any explanation. This can be expressed as the proposition: If there is no God, then the universe has no explanation. But from this statement, it follows by the rules of logic (Modus Tollens) that: If there is an explanation, then there is a God – which is premise 4. These two versions of the cosmological argument have been contested on several counts – some objections apply to only one or other version, most apply to both. 1. Who made God? If God can be uncaused, why can’t the universe? In the Kalam, causes are required for objects that begin to exist, and the ultimate cause must never have begun, but always existed. Since the evidence suggests the universe began, it cannot be uncaused. In the Leibniz, causes are required for contingent objects, but God is a necessary being, eternal and uncaused. However it is clear that the universe is contingent and thus has a cause (unless we can show that it is the one contingent thing that doesn’t have a cause). Thus God and the universe are very different, and this response doesn’t recognise that. 2. How do we know everything has a cause? This is a much more substantial counter-argument, and we need to consider several arguments and counter arguments. By what means are we supposed to know this? Presumably from experience, but we don’t have experience of causes outside of time. If there was no time leading up to the start of the universe, then the whole concept of causation breaks down. Causation does not necessarily depend on time, but on logical connection. And logically, it still seems more reasonable that contingent things, even the universe, have causes than that they don’t. I have difficulty seeing how the opposite could be true. Quantum physics shows that some things are uncaused, so why not the universe? It is not certain that quantum events occur without a cause. It is true that the most accepted quantum models include uncaused events, but other models do not. But in any event, quantum events require certain antecedent conditions, e.g. the existence of a quantum field, which is far from nothing – especially a quantum field capable of starting the universe! So we can say that even if quantum events are random, they don’t arise out of nothing, but require something external to themselves (the full quantum field). So therefore the universe couldn’t have arisen out of nothing. It was because of this objection that I modified the Kalam argument’s first premise to say: 1. Whatever begins to exist has a cause external to itself or arises out of something external to itself. The cosmological argument commits the fallacy of composition. That is, it assumes that if everything in the universe has a cause, that the totality of the universe must also have a cause. But this is a fallacy – just because a statement is true for all members of a set doesn’t mean it is true for the set as a whole. For example, every person in the set of people on earth has one mother, but it is not true that everyone alive has the one mother. However it remains true that we can explain everything in the universe in terms of causes, but we cannot explain the first cause or the cause of the entire universe, unless we accept the logic of the cosmological argument. One of the tests of the truth of a hypothesis is its explanatory power. 3. There is so much we don’t know, especially about time and infinity, and this argument assumes we know the answers. It may be true that we can’t count to infinity from any starting point, but an infinite series never had a starting point. But this only confirms the fact that we can’t countdown from infinity to a number, so neither can an infinite past ever get to now by progressing one year at a time. Perhaps time is circular rather than linear. Or (Stephen Hawking’s idea) perhaps time can have the values of imaginary (in a mathematical sense) numbers, so can be shown mathematically that the universe doesn’t have an infinite past but there is no beginning point. These ideas are highly speculative, lacking scientific evidence, so it is hard to evaluate them. They are theoretical possibilities, but don’t seem to be enough to build a rebuttal on. They seem unlikely compared to the more rational premise 2. 4. The concept of a timeless, necessary God is meaningless. If God is outside time, how can he make anything happen? It seems like God is defined in this way to just to satisfy this argument. These concepts are difficult to grasp, but not meaningless, and less difficult than the alternatives, such as the universe occurring without a cause. We have plenty of experience of the universe, enough to know how it behaves, but we have less experience of God, so we shouldn’t be surprised if he is beyond our understanding. 5. Causal explanations make a phenomenon more intelligible, but concluding God is the cause doesn’t help us understand anything any better. If the universe is contingent, why did God create this particular universe and not another? Perhaps it doesn’t help us understand the mechanism by which the universe was created (i.e. a scientific explanation), but it certainly helps us understand why the universe exists (i.e. a personal explanation) – as a personal being, God chose to create this universe for reasons we can only partly guess. 6. Perhaps the universe caused itself. This has been suggested, but is contrary to logic. Surely a thing must exist before it can do anything, include cause something? 7. Even if we have a first cause, why must it be God? A force might be a more believable option. It is true that the cosmological argument, if successful, doesn’t establish everything about the first cause that we’d like to know. But it surely is an enormous step if we can conclude that something outside the universe, something non-material and eternal, caused it to happen – we can then look for more evidence about the cause. Whether an immaterial force can be a necessary cause is arguable. Further, there is an argument that the first cause must be capable of making a choice (i.e. is personal) otherwise we have no explanation for the universe to appear when it did. 8. Perhaps there could be an everlasting contingent being – in this case, the universe – which simply exists without explanation. But it seems this is contrary to the definition of a contingent being, and such a being could only exist if a necessary being caused it. 9. The Kalam argument fails if the universe didn’t have a beginning, as some scientific models indicate. This argument doesn’t affect the Leibniz argument. 10. The argument for premise 4 of the Leibniz argument is not strong, since it is based on what “many atheists” think. But many other atheists think there must be a scientific explanation for the universe, we just don’t know it yet. I think this is a fair objection. Premise 4 isn’t as strong as the rest of the Leibniz argument. Nevertheless, (1) the argument still establishes an external non-material cause for the universe, and (2) it is still hard to see what else other than God could exist outside the space-time universe and be the explanation for the universe. The most, perhaps only, substantial counter argument to the Kalam cosmological argument is the reference to the lack of cause in quantum physics. However, because a quantum event requires a quantum vacuum and certain conditions before it can occur, and these are part of the universe, it remains true that they cannot explain the physical universe or be its cause. The conclusion of the Kalam argument looks to be more likely to be true than false. The Leibniz argument for a non-material, necessary entity as the cause of the universe looks very strong to me, and the main objection to the argument relates only to the clear identification of that entity with God. But since it is hard to imagine any other entity meeting those requirements, the existence of some sort of God seems to be a fairly strong conclusion of the argument. The objections show that the cosmological argument cannot be considered to be a “proof” of God’s existence. But the rather simple logic of the Kalam argument, the more rigorous form of the Leibniz argument, and the speculative nature of the objections, together show that Cosmological arguments are powerful and persuasive. I can’t help concluding that the objections don’t really dent the basic logic of the arguments. Whether we accept that the argument shows that God probably exists as a first cause, or not, is likely to depend on the presuppositions we bring. If we will only accept a conclusion that can be absolutely proven in a scientific manner, we are less likely to be convinced, though we will probably accept that the objections are weaker than the argument. However if we are willing to choose what accords most with ‘common sense’, we are more likely to conclude that the argument is at least suggestive of God being the first cause. A list of many discussions of the cosmological argument on the Internet Infidels website. Maths and the finitude of the past in Philosophy of Religion website. Of Nothing – blog post on physicist Luke Barnes’ Letters to Nature blog. So you think you understand the cosmological argument? – blog post by philosopher Edward Feser. A critical examination of the Kalam Cosmological Argument – Nicholas Covington in ‘Digital Bits Skeptic’. Was the universe designed for us? – a brief discussion of the amazing sdesign of the universe and whether it has any implications for belief in God.